The Cuckoo is now undergoing windtunnel tests. The prototype is under construction and is expected to undergo initial flight testing beginning 4Q1936. Pending completion of the flight testing of the El Konk Model 300 aero engine-currently undergoing development, the slated engine for prototype flight testing is the DeHavilland Gypsy Six. * Oil consumption: Up to 4 pints (2.4 L) per hour. Based off a heavily-modified DH-88 racer. But I know what the DH-88 looks like. This is a trunk feeder airliner, based on the failed Czech A-204 that later was morphed RTL as the Sibelius Si-204. I assume you are referring to the Siebel Si 204 (engl .) ?!? I´ve never heard of a Sibelius Si-204. Please also note that this never was a Czech plane. Based on the successful Siebel Fh 104 she was developed for the Luft Hansa and first build in the city of Halle before production was transferred to SNCAN in France and KD/BMM in Czechoslovakia (then Protektorat Böhmen und Mähren) after 15 prototypes. I never read she was underpowered for the purpose she was designed for. Could you please state a source? 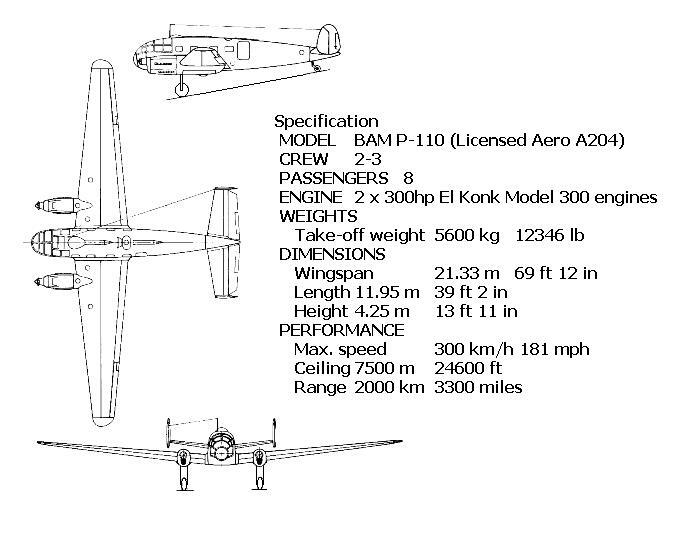 The Siebel Si 204 wasn't underpowered, but his version has El Konk engines of 300 hp, vs the Argus As-410 engines of almost 500 hp that the historical plane had. THAT will make it underpowered, badly. Thinking Opera again. 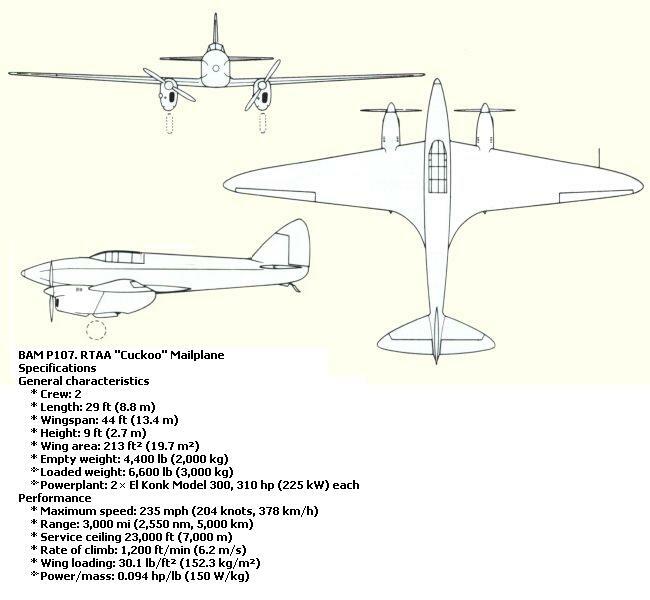 Well anyway, the Aero Company was assigned production design work on the Si-204 iin 1940. They went back to their A-204 as their build pattern and reworked it to make the plane when the Germans demanded it as a night flight trainer. The Fh-104 was a German touring aircraft that bears no resemblance at all to this particular Czech-built aircraft. The French were also involved in this aircraft which they manufactured for the Germans and themselves as the N-701 SNCAC Martinet. It again, as French reworked, bears no resemblance to the original Si-Fh-104. The changes were that radical. What are your sources? That story is new to me and when I look at pictures of the french plane in question I think she looks a lot like the Si 204. More than 20 sources in the web I have browsed now, like this , but failed to find any proof of your claim. I also know I have nothing in my books at home as I´ve heard this story about the Si 204 being a Czech model for the first time just here. Different wingbox and engine mount from the Czech C-3 design, HoOman. Also that is a postwar plane-a SNCAC 701 Martinet I believe? You still seem to be in error regarding those planes. "A 204 usually signifies Aero A 204. This Czechoslovakian airliner was flown in just its trial product form. Its manufacturer was Aero Vodochody. The primary user of the plane was the Czech Airlines. But it was quite shocking as well as not up to scratch that a British product, called the Airspeed Envoy, was chosen over Aero A 204 by the national airlines. As the plane failed to capture any customer, Aero started to develop the military version of A 204 known as A 304. When Nazi Germany occupied Czechoslovakia, the Siebel Si 204 was manufactured by Aero. The pattern of A.204 and Siebel Si 204 were almost identical. People often get confused about these 2 models. C-3 is the accurate Czech designation for the Siebel product. A 204 discusses that this 2-crewed airliner could hold 8 passengers at a time. 2 Walter Pollux IIR engines of 360 hp or 110 kW were used as power plants. The wing area and empty weight of the plane was 46 meter square or 495 square ft and 4,300 kg or 9,500 lb respectively. The wingspan of the aircraft was 19.20 m and 63 ft 0 in whereas its length was 13.20 m or 43 ft 4 in.A 204 describes that the Aero A.204 aircraft could attain a maximum speed of 320 km/h or 170 knots or 200 mph. The service ceiling and rate of climb of the plane was 5,800 m or 19,000 ft and 4.2 m/s or 820 ft/min in that order. The Aero A.204 was a large fixed-wing aircraft. The basic function of this plane was the carrying of paying passengers. This fixed-wing aircraft was a heavier-than-air aircraft. In this case, for the production of lift, the movement of the wings in relation to the aircraft is not used. From small trainers and recreational aircraft to large airliners and military cargo aircraft- all can fall within the fixed-wing aircraft category. The maiden flight of Aero A.204 took place in 1936. But it did not enter into production at all. The Aero A.304 1st flew in 1937." Your original statement below needs to be corrected. Well anyway, the Aero Company was assigned production design work on the Si-204 iin 1940. They went back to their A-204 as their build pattern and reworked it to make the plane when the Germans demanded it as a night flight trainer. The A-304 was a bomber. I suppose I should amend that to read that the Si-204 was the reworked Siebel aircraft that Aero used their A-204 design jigs and blueprints on? Its a recon according to your link, but not the point are you saying that it can only be used as a bomber? I was quite clear in what I wrote? What is your question?